A former Asst. Adjunct Professor of Law, and prior to law school, an Asst. Adjunct Professor of English, Michael, with significant publications, recently entered a publishing agreement with the American Bar Association for his forthcoming book length monograph on Federal Collateral Consequences Law, upon which he has been working for several years. Michael Harwin was awarded the Snell and Wilmer Award for Best Note published in the Arizona Law Review 1993-94 for his article: Detaining for Danger under the Bail Reform Act of 1984: Paradoxes of Procedure and Proof, 35 Ariz. L. Rev. 4 (Winter 1993). The article addresses certain federal pretrial detention practices associated with the Bail Reform Act of 1984. Cited on multiple occasions in subsequent law review papers, the article was most recently mentioned in Defending a Federal Criminal Case (2016 ed. ), Volume I, published by Federal Defenders of San Diego, Inc.
Michael Harwin has recently authored four credited chapters for Thomsen Reuters criminal defense texts. Featuring some of the nation’s leading DUI defense experts, The Legality of Search and Seizure in DUI Cases reviews recent caselaw-including McNeely, Heien, and Rodriguez, among others-and guides the reader through the proper search and seizure procedures and NHTSA standards that law enforcement must follow during the initial stop, investigation, and DUI arrest. These authors also discuss how lawyers can explore and exploit law enforcement errors to reclaim a client’s rights under the Fourth Amendment. Michael also authored Chapter IV, “The New Deal for Drug Defendants: Lose Your Federal Benefits and Privileges,” for Defense Strategies for Drug Crimes (2016 ed.) (ThomsenReuters/Inside the Minds). 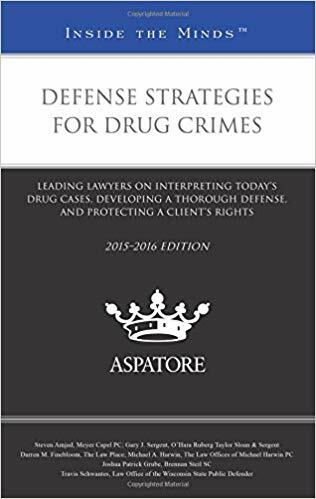 Examine the latest trends and case law in the enforcement, prosecution, and defense of cases involving drug crimes, and reflect on how the author-experts in Defense Strategies for Drug Crimes apply the latest defense strategies and best practices for litigating these violations. Featuring some of the nation’s leading criminal defense experts, Defense Strategies for Drug Crimes reviews recent trends in drug enforcement, changes in the law (especially with regard to THC and measurement of its metabolites), and the collateral consequences that confront many charged with a drug-related offense. The authors closely examine how law enforcement methods for investigating drug and DUI-drug cases have changed, particularly the role of forensics in the prosecution of these charges, and outline the latest defense strategies to refute the claims and overcome obstacles to preparing an affirmative legal defense. 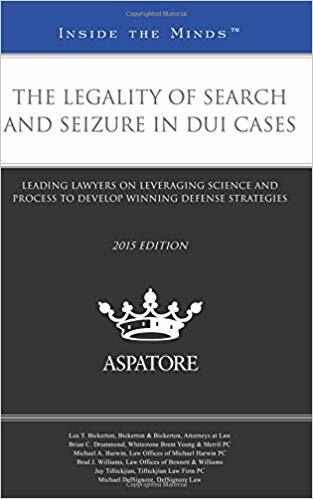 Michael also authored “Creative Discovery in DUIs: Locating, Training, and Nurturing Fresh Experts,” Chapter III in Trends in DUI Discovery, 2014 ed. : Leading Lawyers on Developing Effective and Innovative Discovery Practices (Thomsen Reuters/Inside the Minds). Almost 20 years ago, Michael sat on his first State Bar Continuing Education Panel on Immigration Consequences, which were then considered the primary collateral consequences of criminal charges. Since then, he has been invited regularly to speak at attorney seminars on the subject and more. As Michael’s practice developed, he began representing more and more professionals, as well as non-citizens. As such he began, of necessity, to develop an understanding of the broader collateral professional consequences of common crimes, impacting the careers of his professional clients, often for misdemeanors and low level felonies.